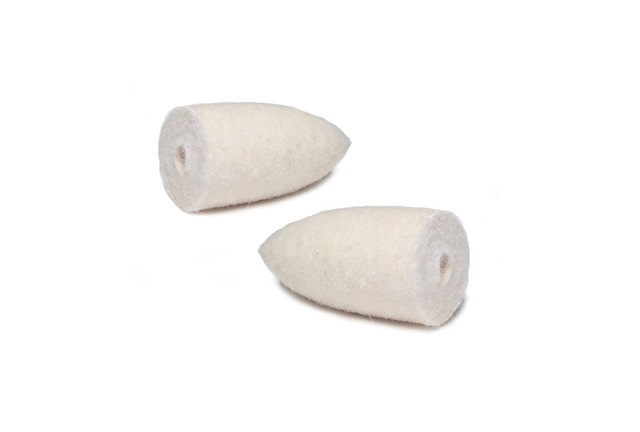 Top » Tools » Polishing » Felt Polishing Tips » Pointed Felt Cones 1" x 2"
Pointed Felt Cones 1" x 2"
For polishing objects that have concave surfaces. Made of solid felt with pin hole center. Used with tapered mandrels.